The Senate House viewed from the Great St Mary's tower. The Senate House of the University of Cambridge is now used mainly for degree ceremonies. It was formerly also used for meetings of the Council of the Senate. The building, which is situated in the centre of the city between King's and Gonville and Caius Colleges, was designed by architect James Gibbs, based to an unclear extent on designs by the gentleman-architect Sir James Burrough, and built in 1722–1730 by Gibbs in a neo-classical style using Portland stone. 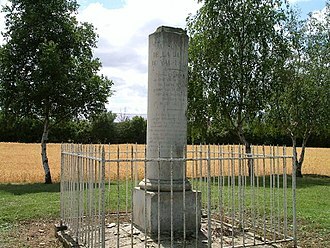 The ceremony to lay the first stone was performed by Thomas Crosse, then Vice-Chancellor, on 22 June 1722. The site was previously used for houses, which were purchased by an Act of Parliament, dated 11 June 1720. It was officially opened in July 1730, although the western end was not completed until 1768. The Senate House was originally intended to be one side of a quadrangle, however the rest of the structure was never completed. It forms part of the Old Schools Site. It is a Grade I listed building. The Senate House is now mainly used for the degree ceremonies of the University of Cambridge. It was also formerly used for meetings of the University's Council of the Senate. Graduates receiving an undergraduate degree wear the academic dress that they were entitled to before graduating: for example, most students becoming Bachelors of Arts wear undergraduate gowns and not BA gowns. 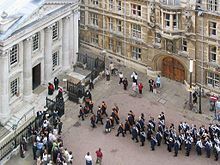 Graduates are presented in the Senate House college by college, in order of foundation or recognition by the university, except for the royal colleges. At the University of Cambridge, each graduation is a separate act of the university's governing body, the Regent House, and must be voted on as with any other act. A formal meeting of the Regent House, known as a Congregation, is held for this purpose. Light show on the Senate House, for the 800th anniversary of the foundation of the university. As part of the University's 800th anniversary celebrations in 2008, the side of the Senate House was illuminated with a light show, illustrating aspects of the history of the university. At the end of the academic year, class-lists for most degrees are posted up on the outer wall of the building. 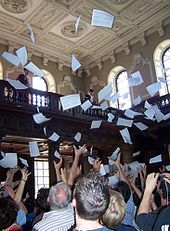 The results of Part II and Part III of the Mathematical Tripos, however, are read out to the waiting students from the balcony of the Senate House, after which piles of class-lists are thrown to the ground like confetti in a time-honoured manner. On 31 May 2017, Senate House hosted the BBC Election Debate ahead of the UK General Election eight days later. Mishal Husain chaired audience questions for Jeremy Corbyn, Tim Farron, Caroline Lucas, Paul Nuttall, Angus Robertson, Amber Rudd, and Leanne Wood. ^ Howard Colvin, A Biographical Dictionary of British Architects, 1600 - 1850, 3rd ed. 1995, s.v. "Burrough, Sir James". ^ John Britton; Edward Wedlake Brayley; Joseph Nightingale; James Norris Brewer; John Evans; John Hodgson; Francis Charles Laird; Frederic Shoberl; John Bigland; Thomas Rees; Thomas Hood; John Harris (1809). The Beauties of England and Wales, or, Delineations, topographical, historical, and descriptive, of each county. Printed by Thomas Maiden, for Vernor and Hood [and 6 others]. 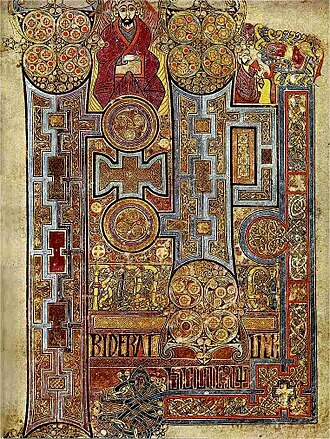 p. 97. Retrieved 7 April 2011. ^ "Images of Senate House, Cambridge, by James Gibbs". Bluffton.edu. Retrieved 7 April 2011. ^ Historic England. "THE SENATE HOUSE (1322818)". National Heritage List for England. Retrieved 30 March 2015. ^ "Graduation: The Ceremony". University of Cambridge. Retrieved 3 September 2012. ^ "Bells sound around the world as light show launches 800th Anniversary". Admin.cam.ac.uk. 16 January 2009. Retrieved 7 April 2011. ^ Nigel Balchin; Peter Davy. "A van that went up in the world". Archived from the original on 11 August 2007. Retrieved September 5, 2007. ^ Patrick Sawer, Cambridge University's 1958 car on roof prank secrets revealed, The Daily Telegraph, 28 June 2008. ^ "BBC Election Debate from Senate House". Wikimedia Commons has media related to Senate House, Cambridge. Emmanuel College is a constituent college of the University of Cambridge. The college was founded in 1584 by Sir Walter Mildmay, Chancellor of the Exchequer to Elizabeth I, in every year since 1998 Emmanuel has been among the top five colleges in the Tompkins Table, which ranks colleges according to end-of-year examination results. Emmanuel has topped the five times since and placed second six times. Emmanuel is one of the colleges at Cambridge with a financial endowment of approximately £105 million. The college was founded in 1584 by Sir Walter Mildmay, Chancellor of the Exchequer to Elizabeth I, the site had been occupied by a Dominican friary until the Dissolution of the Monasteries, some 45 years earlier. Mildmays foundation made use of the existing buildings, Mildmay, a Puritan, intended Emmanuel to be a college of training for Protestant preachers. Like all of the older Cambridge Colleges, Emmanuel originally took only male students and it first admitted female students in 1979. Under Mildmays instruction, the chapel of the original Dominican Friary had been converted to be the Colleges dining hall, in the late 17th century, the College commissioned a new chapel, one of three buildings in Cambridge to be designed by Christopher Wren. After Wrens construction, the chapel became the College library until it outgrew the space. There is a fish pond in the grounds, part of the legacy of the friary. The pond is home of a colony of ducks, the Fellows Garden contains a swimming pool, which was originally the friars bathing pool, making it one of the oldest bathing pools in Europe. It includes an Oriental plane tree, in the Fellows Garden, the Emmanuel College Students Union is the society of all undergraduate students at Emmanuel College. It provides a shop, a bar, a common room, eCSUs Executive Committee is elected on a yearly basis at the end of Michaelmas Term. 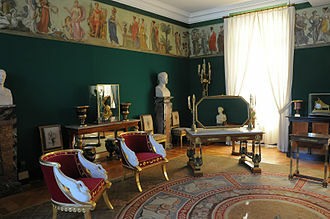 The Emmanuel College Middle Combination Room is the society of all students at Emmanuel College. The Room itself is a comfortable and well equipped space in the Queens Building, the MCR committee organises regular social events for graduate students, including well-attended formal dinners in hall every few weeks. A large number of student societies and sports clubs exist at Emmanuel College, sports clubs include Emmanuel Boat Club, badminton, squash, football and netball. Kings Parade is a historical street in central Cambridge, England. The street continues north as Trinity Street and St Johns Street and it is a major tourist area in Cambridge, commanding a central position in the University of Cambridge area of the city. It is a place frequented by cyclists and by students travelling between lectures during term-time. Kings College is located on the west side of the street, hence the name, on the street, just to the north, is the University of Cambridge Senate House, mainly used for degree ceremonies. This area is known as Senate House Hill, opposite the Senate House is Great St Marys, the historic University Church. The White Horse Tavern, on Kings Lane to the west of Kings Parade, was a 16th-century meeting place for English Protestant reformers to discuss Lutheran ideas, when the Kings College screen was extended in 1870, the tavern was demolished. There is now a plaque in the colleges Chetwynd Court to commemorate this. Bowes & Bowes was a bookseller and publishing company located at 1 Trinity Street and it has a claim to be the oldest bookshop in the United Kingdom, with books having been sold on the site since 1581. The Bowes & Bowes shop closed in 1986 and subsequently Sherratt & Hughes closed in 1992, when the Kings College Gatehouse and Screen were built in the 1830s, the previous west side of the street was completely demolished. Opposite Kings College is a row of now mainly touristic shops, for example, the Primavera Gallery and gift store is located here. St Marys Passage and St Edwards Passage lead away from Kings Parade to the east, No.1 Kings Parade on the corner or Kings Parade and Benet Street was a milliner & dressmaker by the name of C. H. Lawrence in the early 20th century, in the 1950s and 1960s the building became Millers Wine Parlour. In Ted Hughes, The Life of A Poet by Elaine Feinstein, Syliva Plath is described sitting in Millers Wine parlour in 1956, reading a review article. Since it has occupied various establishments including the wine bars Gough Bros and Shades, The English Teddy Bear Company, today a restaurant called The Cambridge Chop House is located here. In the 1970s, Chris Curry rented offices at 6 Kings Parade to establish Sinclair Instrument Ltd with Sir Clive Sinclair, in 1977, the company was renamed to Science of Cambridge Ltd.
John Leonard Eatwell, Baron Eatwell, is a British economist and the current President of Queens College, Cambridge. A former senior advisor to the Labour Party, Lord Eatwell now sits in the House of Lords as a non-affiliated peer and he subsequently returned to Queens as a research fellow. With his other duties, Eatwell taught Economics at the New School for Social Research in New York City in the 1980s and 1990s and he is a member of various important national bodies. In 2010, he was appointed a Labour Opposition Spokesman for the Treasury in the House of Lords by former leader Ed Miliband, as of 27 March 2014, he now sits as a non-affiliated peer. Eatwell is the chair of the British Library, a director of the Royal Opera House. In May 2014, Lord Eatwell was appointed Chair of the Advisory Board of the Institute for Policy Research at the University of Bath, in July 2006 Eatwell married Suzi Digby and Principal of The Voices Foundation, a national music education charity. Keyness economics and the theory of value and distribution, John, Murray, Peter K.
The New Palgrave, a dictionary of economics, London New York Tokyo, Macmillan Stockton Press Maruzen. Eatwell, Milgate, Newman, Peter K, the New Palgrave, Allocation and markets. Eatwell, Milgate, Newman, Peter K, John, Murray, Peter K. The new Palgrave dictionary of money & finance, London New York, Macmillan Press Stockton Press. Global unemployment, loss of jobs in the 90s, John, James, Elizabeth, McGrew, Anthony. Understanding globalisation, the nation-state and economic policies in the new epoch, Global finance at risk, the case for international regulation. International capital markets, systems in transition, Oxford New York, Oxford University Press. Eatwell, Alexander, Dhumale, Global governance of financial systems the international regulation of systemic risk. Oxford New York, Oxford University Press, the fall and rise of Keynesian economics. Eatwell, Competition, in Meek, Bradley and Marxian political economy, essays in honour of Ronald L. Meek, Macmillan, pp. 203–228, ISBN9780333321997. Newnham College is a women-only constituent college of the University of Cambridge. The college was founded in 1871 by Henry Sidgwick, and was the second Cambridge college to admit women after Girton College, the co-founder of the college was Millicent Garrett Fawcett. The history of Newnham begins with the formation of the Association for Promoting the Higher Education of Women in Cambridge in 1869, the progress of women at Cambridge University owes much to the pioneering work undertaken by the philosopher Henry Sidgwick, fellow of Trinity. 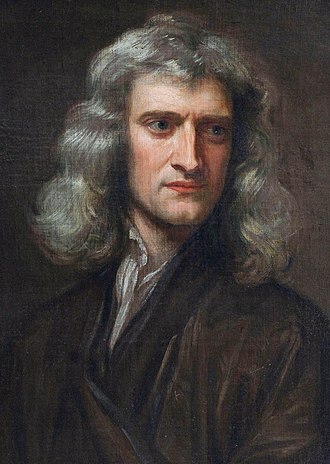 He persuaded Anne Jemima Clough, who had run a school in the Lake District. The following year, this moved to Merton House on Queens Road, demand continued to increase and the supporters of the enterprise formed a limited company to raise funds, lease land and build on it. In 1875 the first building for Newnham College was built on the site off Sidgwick Avenue where the college remains, in 1876 Henry Sidgwick married Elizabeth Balfour who was already a supporter of womens education. They lived at Newnham from 1893, the college formally came into existence in 1880 with the amalgamation of the Association and the Company. Women were admitted to titles of degrees from 1881, the demand from prospective students remained buoyant and the Newnham Hall Company built steadily, providing three more halls, a laboratory and a library, in the years up to the First World War. The architect Basil Champneys was employed throughout this period and designed the buildings in the Queen Anne style to much acclaim, so Newnhams founders allowed the young women to work at and to a level which suited their attainments and abilities. Some of them, with a years preparation, did indeed go on to degree-level work. In 1890 the Newnham student Philippa Fawcett was ranked above the Senior Wrangler, by the First World War the vast majority of Newnham students were going straight into degree-level courses. In tailoring the curriculum to the students, Newnham found itself at odds with the other Cambridge college for women, emily Davies, Girtons founder, believed passionately that equality could only be expressed by women doing the same courses as the men, on the same time-table. 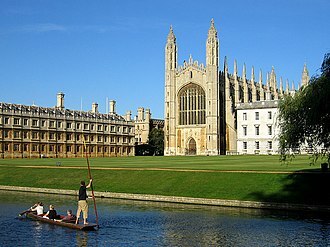 The Old Schools are part of the University of Cambridge, in the centre of Cambridge, England. The Old Schools house the Cambridge University Offices, which form the administration for the University. Within the Old Schools are West Court and Cobble Court, the building is Grade I listed. It is two storeys high with ashlar facing and a parapet above, the Old Schools building is located at the end of Trinity Lane and is surrounded by other historic University and College buildings. To the north is Gonville and Caius College, to the east is the University of Cambridge Senate House where degree ceremonies are held, on Kings Parade. 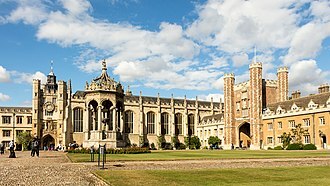 To the south, the scene is dominated by the large Kings College Chapel, to the west are Trinity Hall and Clare College. The Old Schools Site covers the Old Schools, the Senate House, and Great St Marys, the original building was begun in 1441–4. It formed the Old Court of Kings College, but was bought by University, the west range was completed in 1864–7 by Sir George Gilbert Scott and in 1889–90 by John Loughborough Pearson. Sidney Sussex College is a constituent college of the University of Cambridge in England. The college was founded in 1596 under the terms of the will of Frances Sidney, Countess of Sussex and it was from its inception an avowedly Protestant foundation, some good and godlie moniment for the mainteynance of good learninge. In her will, Lady Sussex left the sum of £5,000 together with some plate to found a new college at Cambridge University to be called the Lady Frances Sidney Sussex College. Her executors Sir John Harington and Henry Grey, 6th Earl of Kent, supervised by Archbishop John Whitgift, as of 2014, the college had an endowment of £36. m. and total capital and reserves of £108. m. By the early 19th century, the original red brick was unfashionable. H. Lyon, and somewhat at odds with the colleges original Puritan ethos, at the beginning of the twentieth century, E. H. Griffiths wrote a ten verse song dedicated to Sidney Sussex, each verse systematically identifies, dismisses other Cambridge colleges for their faults, before settling on Sidney as the best college of all. Sidney Sussex is recognised as one of the smaller, more classical Cambridge colleges and its current student body consists of roughly 350 undergraduate students and 190 graduates. Academically, Sidney Sussex has tended towards a position in the unofficial Tompkins Table. However, the college has traditionally excelled in subjects, notably Mathematics, Engineering. It is known for the standard of pastoral support from the Tutorial team. The college ranks fourth highest amongst Cambridge colleges in Nobel Prizes won by alumni, the Choir of Sidney Sussex College, Cambridge was nominated for a 2013 Gramophone Award in recognition of their disc of the music of Thomas Weelkes. The choir tours regularly, most recently to Germany, in December 2016, in the television show University Challenge, Sidney Sussex had a winning team in both 1971 and 1978–79. The 1978 team, comprising John Gilmore, John Adams, David Lidington, the college last appeared on the television show in 2015. It is known for producing a well-regarded May Ball for a smaller college, students created an artificial lake and canal in 2010, when the ball had a Venetian theme, to enable punting at the landlocked college. St Mary the Great is a Church of England parish and university church at the north end of Kings Parade in central Cambridge, England. It is known locally as Great St Marys or simply GSM to distinguish it from Little St Marys and it is one of the Greater Churches. It is designated by Historic England as a Grade I listed building, in addition to being a parish church in the Diocese of Ely, it is the university church for the University of Cambridge. As such it has a role in the universitys legislation, for example, university officers must live within 20 miles of Great St Marys. The church hosts the University Sermons and houses the University Organ, the latter chimes the Cambridge Chimes which were used by the clock tower of the Houses of Parliament. The first mention of the church is a record of King John presenting Thomas de Chimeleye to the rectory in 1205, the first church on the site of the current one was built in 1205, but this was mostly destroyed by fire 9 July 1290 and rebuilt. 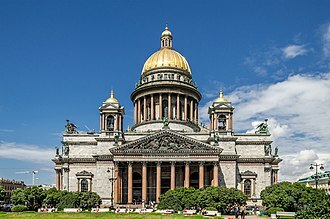 At the time, this fire was attributed to the Jewish population of the city, prior to 1352, it was known as The Church of St Mary the Virgin, but since that year has become known by its modern name. During its early years, the church was the property of the crown, but on 15 July 1342, ownership passed to Trinity College, where it has rested since. The orders for the consecration of the new church were sent out on 17 May 1346, in the Middle Ages it became an official gathering place for meetings and debates for Cambridge University, but this ceased in 1730 when the Universitys Senate House was built across the street. The present building was constructed between 1478 and 1519, with the tower finished later, in 1608, the cost of construction was covered largely by Richard III and Henry VII. The church was restored by James Essex in 1766, in 1850–51 a restoration was carried out by George Gilbert Scott, followed by further work by Anthony Salvin in 1857. The south porch was rebuilt in 1888, there has been some more restoration work during the 20th century. Various leading philosophers of the English Reformation preached there, notably Erasmus, Martin Bucer, who influenced Thomas Cranmers writing of the Book of Common Prayer, was buried there. 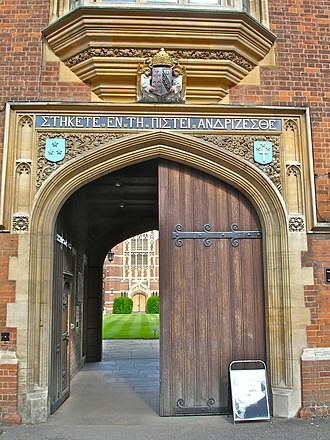 St Catharine’s College is a constituent college of the University of Cambridge. Founded in 1473 as Katharine Hall, it adopted its current name in 1860, the college is located in the historic city-centre of Cambridge, and lies just south of Kings College and across the street from Corpus Christi College. 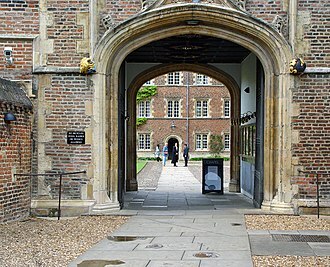 The college is notable for its open court that faces towards Trumpington Street, St Catharine’s is unique in being the only Oxbridge college founded by the serving head of another college. The college community is moderately sized, consisting of approximately 70 fellows,150 graduate students, as of 2013, the colleges endowment stood at £48.3 million, placing the college 18th richest of the Universitys colleges. Robert Woodlark, Provost of King’s College, had begun preparations for the founding of a new college as early as 1459 when he bought tenements on which the new college could be built. The preparation cost him a deal of his private fortune. He stipulated that they must study theology and philosophy only, the college was established as Lady Katharine Hall in 1473. The college received its Royal Charter of Incorporation in 1475 from King Edward IV, at any rate, the college was ready for habitation and formally founded on St Catharine’s day 1473. There are six Saints Catharine, but the college was named for Saint Catharine of Alexandria, the initial foundation was not well-provided for. Woodlark was principally interested in the welfare of fellows and the college had no undergraduates at all for many years, by 1550, there was an increasing number of junior students and the focus of the college changed to that of teaching undergraduates. As the college entered the 17th century, it was one of the smallest colleges in Cambridge. However, a series of prudent Masters and generous benefactors were to change the fortunes of the college, rapid growth in the fellowship and undergraduate population made it necessary to expand the college, and short-lived additions were made in 1622. By 1630 the college began to demolish its buildings which were decaying. 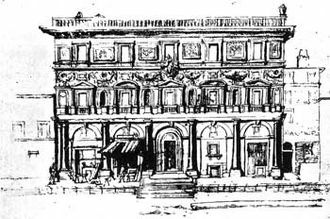 In 1637 the college came into possession of the George Inn on Trumpington Street, proposals for a range of buildings to complete the fourth side of the court have been made on many occasions. Looking north along King's Parade to the Senate House (left) and Great St Mary's church (right). The entrance to the administrative centre of the university, the Old Schools.